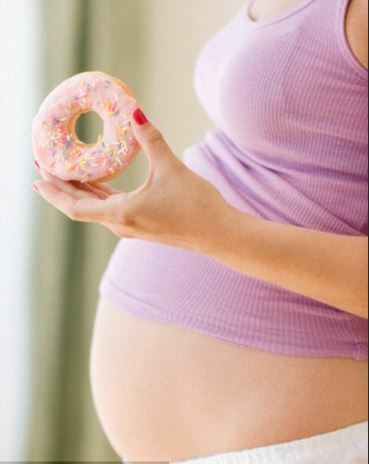 You are here: Home » Parenting & Prenatal » Is it normal to have cravings during pregnancy? It is normal, but often not as wild or weird as TV or movies make it seem (ex. pickles on your ice cream). Getting enough iron, calcium, omega-3 fatty acids, and vitamin D is important during pregnancy, as are many other vitamins and minerals. Enjoying a craving every now and then (ice cream, hold the pickles) is fine, but remember the importance of eating a well balance diet with food from all food groups in appropriate portions. Vegetables, fruits, lean proteins, whole grains, and healthy fats are all important in maintaining a balanced diet during pregnancy. Another thing to keep in mind is food aversions, which can be more common for some expecting moms than the cravings, especially in the first trimester when nausea can strike at any time (not just morning). If you are struggling with nausea, make a point to eat a small healthy snack at least every couple of hours. A healthy protein matched with a complex carbohydrate can often keep your energy up and curb the nausea. The American College of Obstetrics has a great FAQ list about nutrition during pregnancy as well as a FAQ list about exercise during pregnancy. Staying active during pregnancy (as long as your prenatal medical provider is okay with it) can have some great benefits and help you maintain a healthy lifestyle during pregnancy. ChooseMyPlate.Org also has some great information for expecting families regarding nutrition. Overall, enjoy cravings in moderation, stay active (unless your provider recommends otherwise), and enjoy wholesome foods during pregnancy!